Chiang Mai in the northern part of Thailand and is fondly called “Rose of the North”. Chiang Mai is a very beautiful city, with a unique and unforgettable night life. You will be surprised! 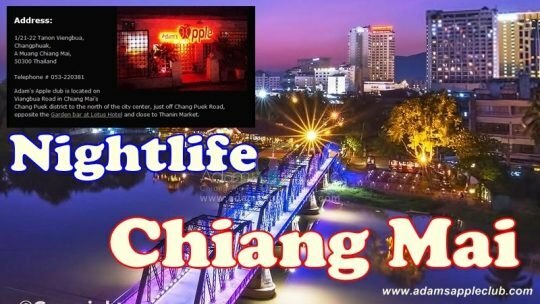 One of the famous highlights in Chiang Mai is “Adams Apple Club”. You have to see this Club, if you want to see a really great show with handsome dancers? As handsome dancers with perfect body’s gyrate to the music, appreciate the splendor of the Asian Male watching the men of your dreams perform in our sensual dance show. 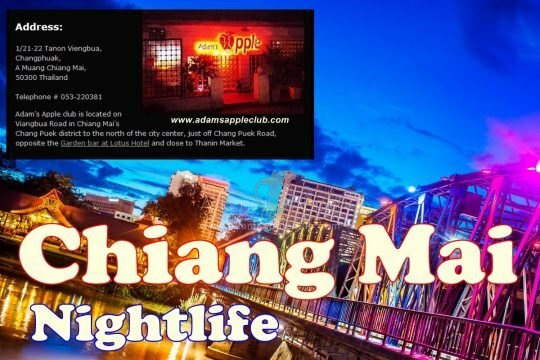 You will have a great time @ Adam’s Apple Club Chiang Mai. The No. 1 Gay Bar in Chiang Mai, with the hottest boys and the best Shows and the best artists in town.